Can a Minority Shareholder Force the Majority to Buy Their Shares? Minority shareholders face certain risks. If you are a minority shareholder, you may find yourself in a position where you simply want to get out of the business. Perhaps it is because you do not believe in the underlying company anymore, or perhaps it is because you believe that the majority shareholders are damaging your financial interests. Regardless, you need to know how to protect your legal rights and financial interests. This raises an important question: Can you force the majority shareholders to take over your stake? The short, general answer is no — majority shareholders have no legal duty or legal obligation to take over your shares. 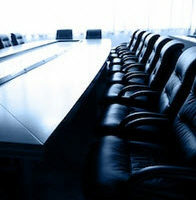 However, there are some circumstances in which minority shareholders may be able to get themselves out of the company. Here, our Miami shareholder dispute lawyers highlight some of the most important things that minority shareholders need to know if they want a majority shareholder to buy them out. As a shareholder, your core rights and responsibilities are outlined by your shareholder agreement. The only true circumstance in which majority shareholders will be required to purchase shares for minority holders is if that action is called for by the underlying shareholder agreement. In certain cases, your shareholder agreement may contain some form of automatic buyout clause. If it does, then you can use it to compel the majority shareholders to purchase your stake — thereby getting yourself out of the business. In planning ahead, minority shareholders in small corporations may want to push for a clause that requires the majority shareholders to buy them out under certain conditions. In some limited cases, minority shareholders may have a right to get out of their shares through a shareholder oppression claim. Shareholder oppression happens when the majority stakeholders of a company unfairly damage the interests of the minority shareholders. It is possible that a minority shareholder may be able to force a buyout through a shareholder oppression claim. These are especially complex cases. If you are considering a shareholder oppression claim, you should contact a qualified attorney. For minority shareholders — especially those that have a stake in a small corporation or small business partnership — the best path to a positive resolution is not always through litigation. Through mediation or informal negotiation, you may be able to work out a favorable solution with the majority shareholders. If you find yourself in a difficult position as a minority shareholder, you should consult with an experienced Florida shareholder lawyer who can review your case and help you assess your legal options. At Pike & Lustig, LLP, our experienced Miami shareholder dispute attorneys have extensive experience representing minority shareholders. If you are involved in any type of shareholder dispute, you need to take immediate action to protect your rights. Our law firm has offices in Miami, West Palm Beach, and Palm Beach Gardens, and we handle shareholder dispute claims throughout Southeastern Florida.